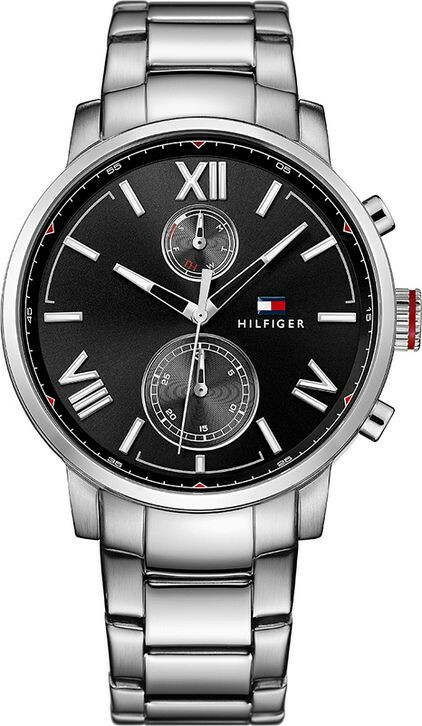 This Tommy Hilfiger Men’s watch features a black dial with silver-tone hands, fixed stainless steel bezel and a stainless steel case with a stainless steel bracelet. Quartz movement with analog display. Round case shape with a 44 mm case diameter. Scratch resistant mineral crystal. Solid case back. Functions: Date, Hour, Minute, Second. Water resistance up to 50 meters. Working from a mantra of reputability, authenticity, and quality products, we at Luxer Watches offer you brand new watches in their original packaging, with an outstanding guarantee to accompany your purchase. It is our desire for you to get the best value for your investment in one of our watches so you will always receive competitive pricing that out performs our competitors. 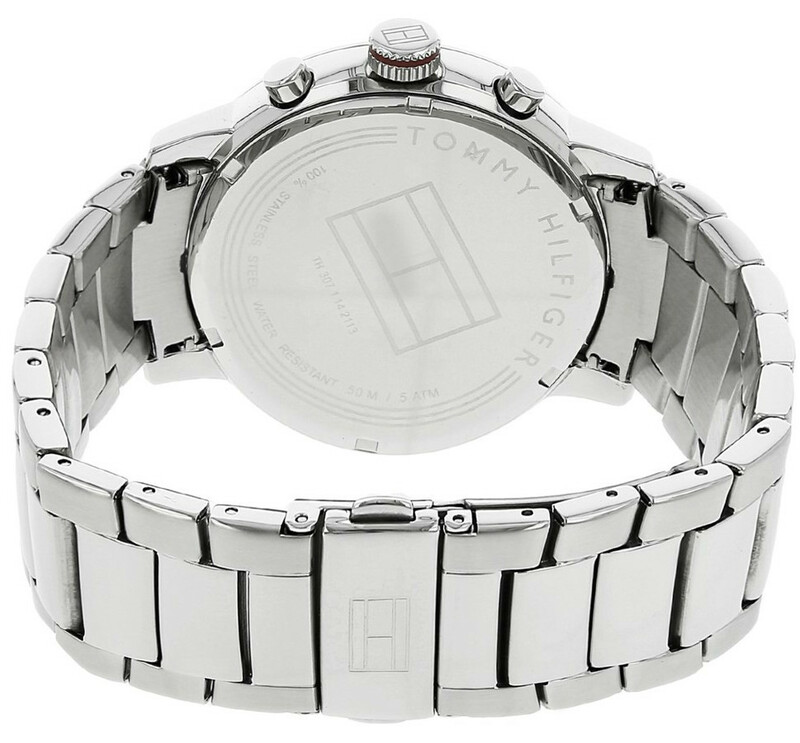 With our guarantee you can shop with confidence and have peace of mind just knowing that we stand behind the quality watches that we sell to you. 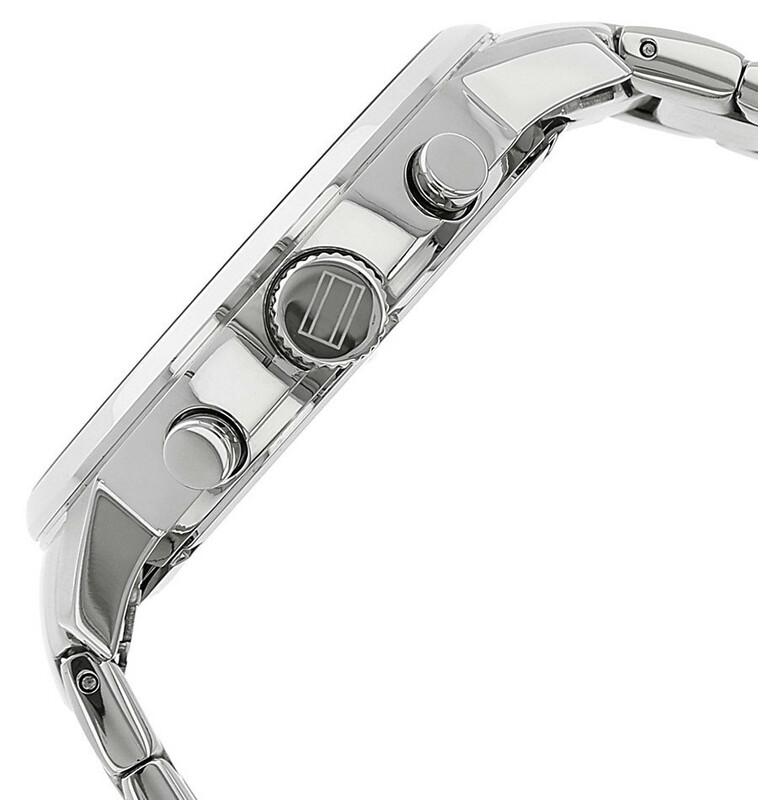 The Luxer Watch Guarantee encompasses the following details so that you will be 100% pleased with your new watch. If you are not completely satisfied with your watch, simply follow our return policy and send the watch back to us. It must be unused and returned in the original packaging so that we can give you a full refund. Shipping and handling will be excluded from your credited amount. Read our return policy so that your questions and concerns can be addressed immediately. Luxer Watches will protect your private information so that you can shop with us in a secure and safe manner. We don’t share your sensitive data nor will we sell it to third parties. With your security, safe shopping experience, and exceptional offers at the forefront of our way of doing business, shopping with us will be something that you’ll want to share with your friends, family, and colleagues. Once you’ve chosen the watch that you like, it’s time to think about how much the shipping will add to the total cost of your order. With many Internet companies, shipping is cost-prohibitive and can make the order that you have more costly than you anticipated. We at Luxer Watches want you to have the watch of your dreams at an affordable price which is why shipping is FREE in the US or Canada. Are you an international shopper who is impressed with our quality, our pricing, and our customer service but you wonder about the shipping cost for your watch? Luxer Watches does not charge duties for our international orders; the responsibility for paying import fees, taxes and duties at the border is left up to our customers. You should check with your local customs officials for assistance with this part of your purchase. You can expect your order to be delivered in approximately one week. Our team will verify your address and contact you so that your order may be expedited should there be any question about the shipping address. The contact information that you provide at the time of your purchase will be used to contact you for additional communications about your order. We take pride in how we compile, pack, and ship your order so that it won’t be destroyed or delayed during the shipping process. We at Luxer Watches will prepare your order for shipping in the most efficient way as possible. Your order will be insured and packaged so that its contents are protected for safe and secure transport to your location. We’re serious about keeping your order protected from our doorstep to yours; you can rely on us for taking every precaution to deliver your order just as you expected it to be.